ROAD TOWN, Tortola, VI- According to the Puerto Rico Seismic Network, an earthquake above magnitude 4.0 has occurred. 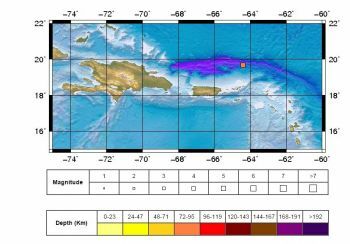 At 7:04 AM an earthquake measuring 4.8M Latitude: 19.69 Longitude: 64.39 occurred at a depth of 89Km at a distance of 66 miles North of Anegada. No Tsunami Watches or Warnings were issued for the Virgin Islands. 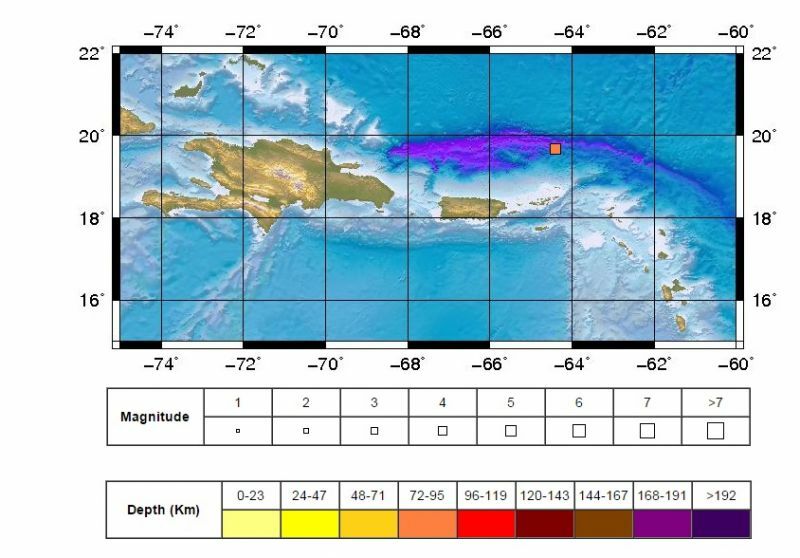 The DDM takes this time to remind the VI community that we live in a seismically active zone, which makes the territory vulnerable to earthquakes.